The Only 100-Mile Running and Horse Race On the Planet. Benefiting Vermont Adaptive Ski & Sports. 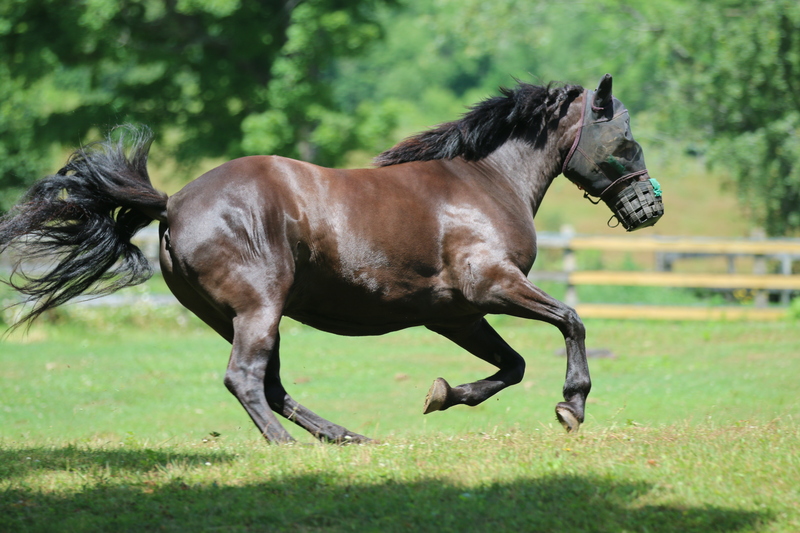 Horses and riders begin competing, and the well-established ride becomes a 100-mile race. At this time, the ride started and ended at Cloudland Farm in Woodstock, VT. Now this spot is close to the “Pretty House” aid station on our present day course, approximately 21 miles into the race. After many years of continuous rides, the horse race took a short hiatus and would not be revived again for a couple years. VERMONT ADAPTIVE SKI & SPORTS FOUNDED. 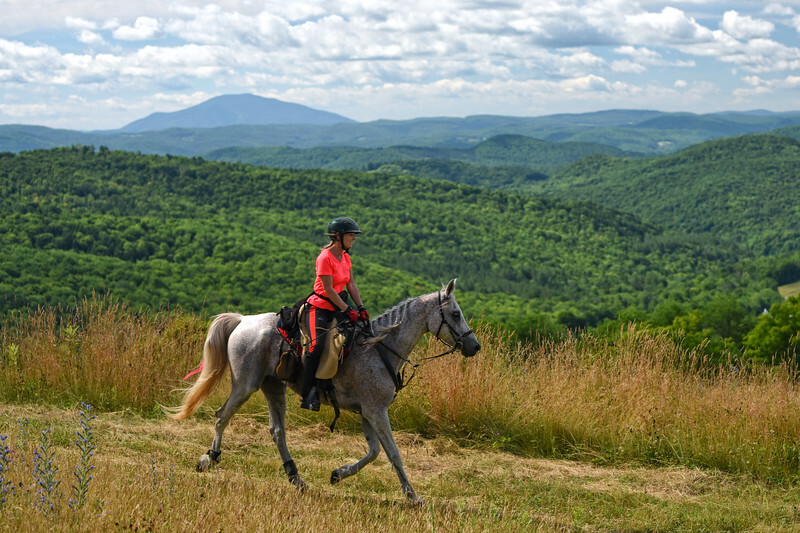 Steve and Dinah Rojek of Smoke Rise Farm in South Woodstock, VT, take the reins and get the equestrian community back in action and the race is reestablished. 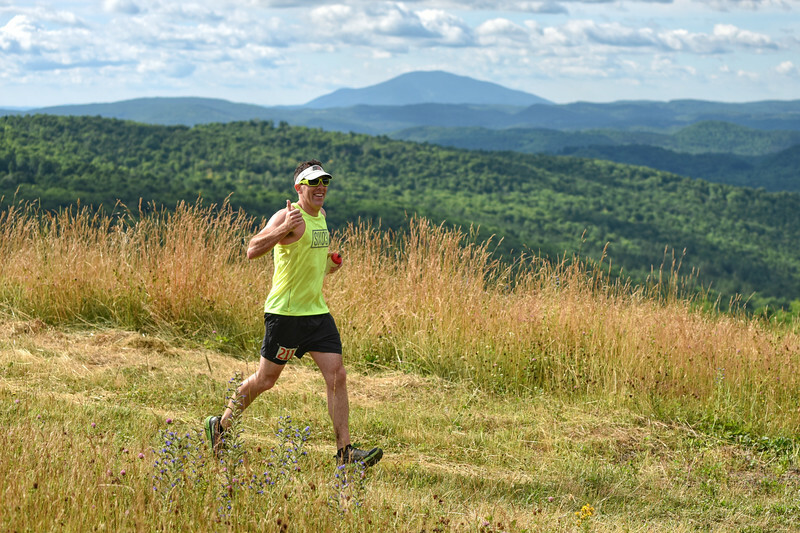 RUNNERS TOE THE LINE IN FIRST VT100 RUN. Going out on a limb, Steve Rojek approaches Laura Farrell to ask if she wants to run the trails on foot this year. Considering that Farrell had become the first woman to complete a 100-mile ride and 100-mile run in 1982, she naturally agrees. That year, 114 runners participated in the first VT100 run. The VT100 outgrows Smoke Rise Farm and is relocated to its current home at Silver Hill in West Windsor, VT. 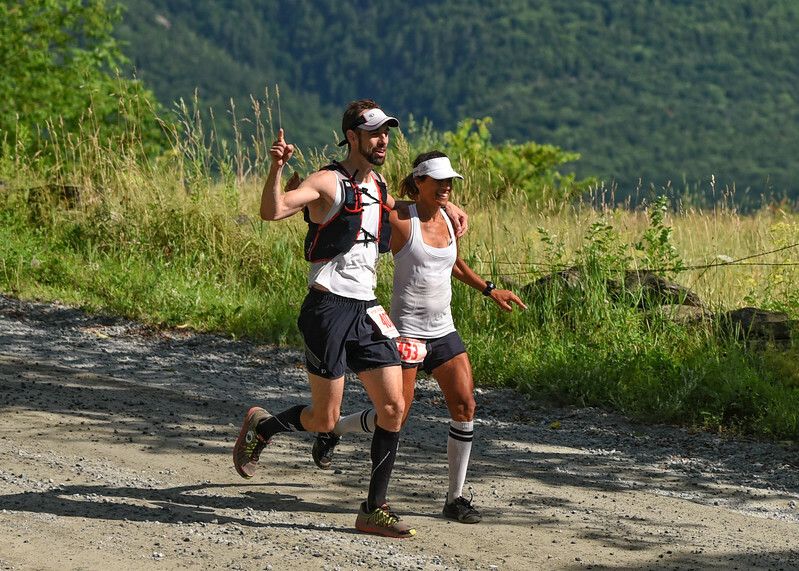 The VT100 adds the now incredibly popular 100-km running race component to the event weekend. Over the years, the VT100 as we know it has been shaped by continuous growth and change. Yet, at its core, it still holds true to its humble roots. The running race is still simultaneous with the horse race, and this is the only known 100-mile race where this still occurs. 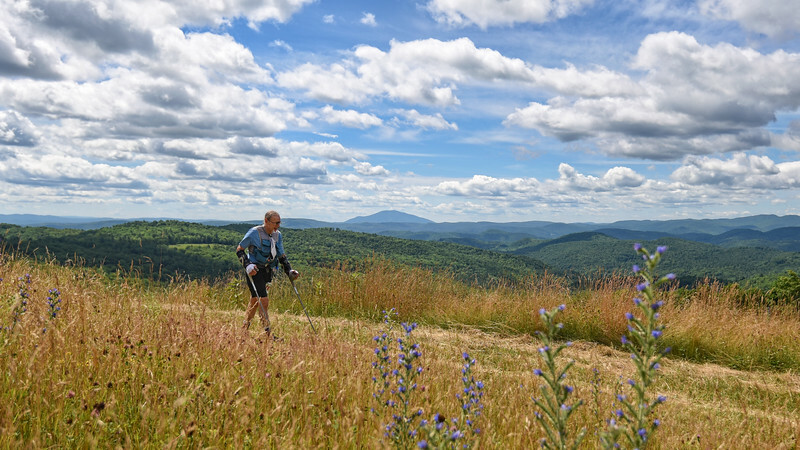 The course continues to feature some of the most picturesque sites of southern Vermont, as it rolls along dirt roads and horse trails. And the participation numbers have only ticked up. Now within hours of registration opening, the event quickly reaches its capacity of 350 runners for the 100-mile race, 75 runners for the 100-km race, and 50 riders for the various horse race distances of 100, 75, and 50 miles. Due to Laura Farrell’s connection with Vermont Adaptive Ski & Sports and the Vermont 100, as the founder of both, the race has always been one of the largest annual fundraisers for VT Adaptive. It’s a natural fit as both the VT100 and VT Adaptive allow individuals to challenge themselves through sports. The event continues to raise money to benefit VT Adaptive’s year-programs for athletes with disabilities. To boot, the 2017 run will be the world’s first ultra race and first trail race to formally recognize visually impaired and mobility impaired runners in their own awards category. The Vermont 100 takes a lot of time and dedication to string together and would not be possible without tremendous leadership. After the 1989 debut of the running portion of the VT100, Laura was a natural fit to become the race director. For many years, she captained the helm and helped shape this story. A long time Vermont Adaptive volunteer, Laura handed over the VT100 to Jim. Jim gave his all to this race and it was only due to his sudden and unfortunate passing following the 2008 race that the VT100 found itself seeking its next RD. In a beautiful way, Jim’s daughter, Julia, took over the race for several years. Julia did an amazing job carrying on her father’s legacy and we’re forever thankful for her dedication. Amy is the current Race Director for the Vermont 100 and continues to do an amazing job year after year. She has truly helped make this race a world-class event and we look forward to her passion shining through each July.